Chiller systems as the name suggests is used to cool machinery or products. Water based chillers use water or water based solutions to cool the equipment. Chiller systems are widely used in a lot of industries such as the brewing industry, the chemical industry, the food industry etc. For the uninitiated the chiller is a unit that takes the heat from the machine and cools it. 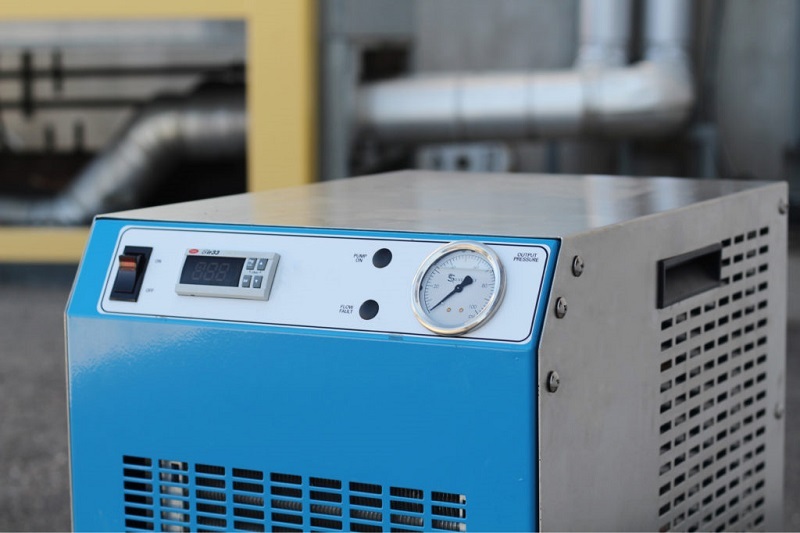 A chiller unit comes with a good pump and it should be maintained properly because the machine will not get heated soon. If you optimally use a machine you risk the chances of it getting overheated but a chiller will ensure that the machine works without undue stress due to heat. In simple terms, a process cooler will rotate the cool water or liquid from the chiller to the process (a machine or product), the cold in the liquid or water will remove the heat and the liquid or water will become warm and return to the pumping system again to get cooled and then the process keeps repeating. The heat transfer from the machinery to the water is very important. Industrial chillers use a refrigerant which is basically a chemical. Refrigerants are many but the work of all the refrigerants is to convert from a liquid to a gas and then reconvert back to a liquid. A condenser is used in chiller to cool the gas back. The condenser plays a very important part be it an air-cooled condenser or a water-cooled condenser. There are many types of chiller systems and each industry or company require different ones. The chillers can be small, or large or even portable depending on the requirement. Some companies get customized chiller systems made for their needs. Chiller systems are very important as they will ensure that the machinery or product is functioning and not get overheated. Overheating can lead to malfunctions and this will harm the productivity of the company. Hence chiller systems need to be maintained regularly. Most people think that maintenance is just an additional expense that does not have any rewards. But they are wrong; you will recover regular maintenance costs over time and in fact save on costly repair costs too. Every time a machine gets repaired you will be doling out a huge amount of money, but regular maintenance ensures that the problem is found beforehand and as the saying goes, “A stitch in time saves nine”, you will be spending a lot less. There are many chiller system manufacturers who provide regular maintenance services too such as annual maintenance contracts etc. You should avail the services of such maintenance services. An annual maintenance contract will take care of all the problems that a chiller system would face. Additionally the chiller system will be cleaned of dust and grime. Dust and grime may seem innocuous but the build up of dust and grime over time can cause a lot of problems and in some cases it may lead to health risks too.